At first, I thought on doing it from scratch, creating a fake 3D engine similar to Akalabeth or the early Wizardry titles. After doing some research I opted instead to use proper 3D rendering, and adapt movement and appearance so it felt like a ZX-Spectrum game. I took our entry for the 2015 7DRL Challenge, Stygian Abyss, and started chipping off stuff and adding makeup until it felt decent enough. One thing the engine didn’t have was support for interactive “prompts”, so that had to be added completely. Jucarave was up to the task and managed to do it during the last day of 2018. Then came the question of designing all the game content; of course, the episode doesn’t directly reveal a lot of information about the game itself… however, there were some “design notes” scattered around Stefan’s ZX. I used them to recreate a possible game flow… which frankly doesn’t make a lot of sense 😛 but that’s what it is! I also incorporated some parts that were visible on the short gameplay clips shown in the episode. Luckily, the engine had support for static maps, so I mapped out the flowchart into a level layout, with each choice being an interactive item. And that’s it, hope you like it! And by the way, you can check the source code here if you are interested. Stygian Abyss, 2015 7DRL Challenge, Victory! Stygian Abyss is a procedurally generated first person action dungeon crawler; survive the legendary Stygian Abyss to find the Codex of Ultimate wisdom, a new adventure awaits you every time! Explore the environment in a first person view. I managed to survive for another year! Many thanks to jucarave, a.k.a Exodus Destiny Dragon; we teamed up for this year and it was great working with him. This 7DRL is made up of two different open source projects; the Stygian Generator and the Stygian Abyss 7DRL game. The level generator can be used independently (you are welcome to use it in your project! 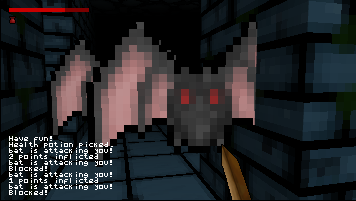 ), it’s very customizable and comes bundled with parameters to recreate the Abyss based mainly on Ultima IV. This one was started from scratch for the challenge. I will talk a bit more about it on a future post. The 7DRL game module was developed using as a base the existing work that Jucarave had made for Britannian Underworld; from there we developed all the game related stuff like spells, combat, etc. A whole lot of work went there! The cover art was created by Talzhemir “Manda” Penumbra; drawn and painted specially for this game. She was part of the Ultima VI dev team. Thank you! The sound effects were made by Bart, from OpenGameArt. Graphics come directly from the Ultima IV and Ultima V tilesets, with some tweaks and original tiles being made. This project is non-commercial, made just for fun from fans to fans. Day 3 is over, it may not look as much but I added corridors connecting the rooms, as well padding into them, which for all practical purposes means variable length corridors and irregular rooms areas. I also removed the walls, might have to put them back soonish. Also did the design for magic spells, we are supporting a subset of the spells from the original U4. 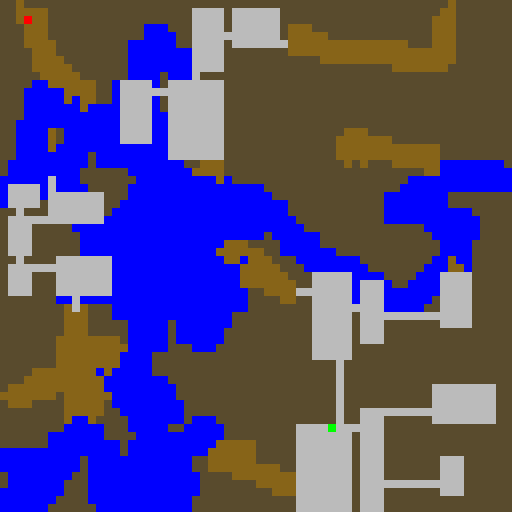 Also started doing some research on the actual appearance of the original Stygian Abyss, based on the rooms on the game, following some walkthroughs and checking some wikis for maps (unfortunately haven’t been able to find images for all rooms). Fix bug with connections between areas and subareas. 7DRL always happens the worst possible time in the year. It’s intended to relive the adventures of the Avatar at the end of Ultima IV, to get the Codex of Ultima Wisdom (and probably something more 😉 ) You’ll have to survive 8 intense levels finding weapons, items and magic spells to aid you in the way. 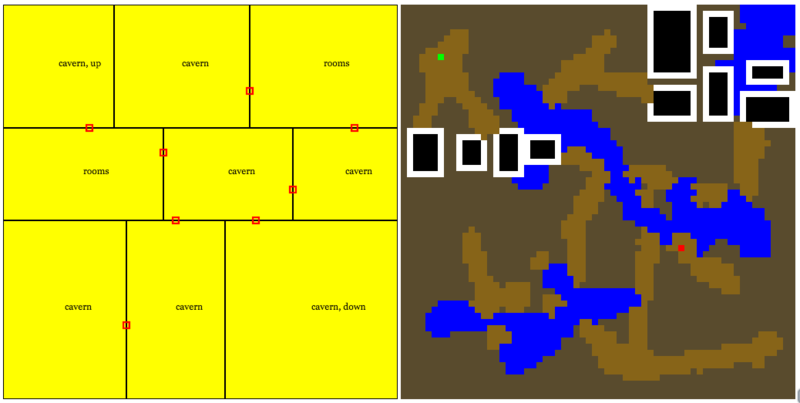 I am working mostly on design as well as the implementation of the level generator. My goal is to produce something similar to the levels of UW. Meanwhile, Exodus has been working on adapting the Britannian Underworld engine to what we need, plus implementing actual dungeon crawling stuff, check out his advancement on his blog. We are considering whether using graphics from u5, u4 NES, oryx or handmade…. It would be great if we could get the graphics from monsters on ultima v dungeons (or the FM town games), but they seem VERY hard to come up with.